How Much Does Your Conscience Weigh, Mr. Koolhaas? Mr. Koolhaas, you designed a daring and ambitious building for CCTV, China’s state-controlled television broadcaster. 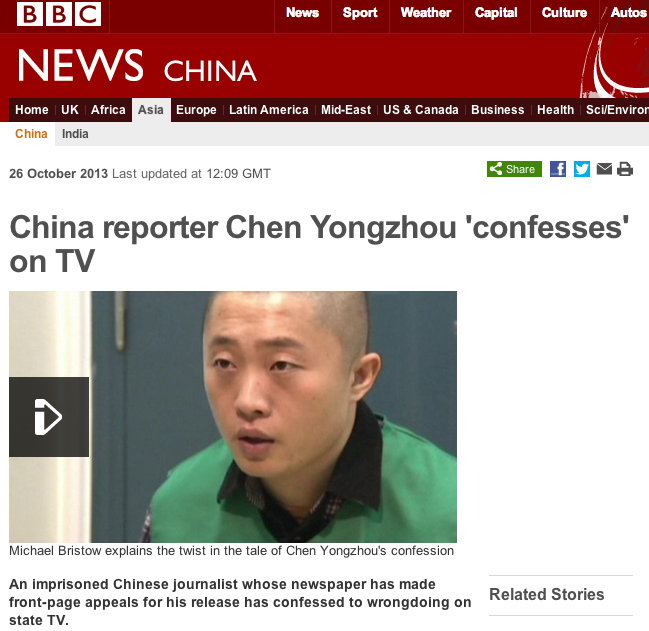 But it is from this building that supposed “confessions” by imprisoned Chinese journalists are being broadcast these days. What do you make of that? Would you say your design is performing as well as initially hoped (and hyped)? Are you still optimistic that the “chain of interdependence” built into CCTV’s architecture will, as you wrote, “[promote] solidarity rather than isolation, collaboration instead of opposition”*?